I’ll admit, one of the best parts of being a photography enthusiast is the ability to take portraits of my girls. It’s no question that they are my reason for everything and why I work hard everyday to provide them with all they need. I thought it would be fitting to have them with me throughout the entire day, every day. For my January picture, I decided to take a current head shot of my girls. Pictured exactly as they are now. On their end, they thought it’d be funny and appropriate to give me their best version of the “The Thinking Man,” and it totally worked! Now, these pondering little girls are hung over my desk and I can look up and see their cute little faces whenever I want throughout my work day. Time is fleeting and I am glad I am able to capture a tiny moment in time of the girls. My office is still a work in progress and I still have a lot of items packed away in boxes. It’s lacking and a bit dreary. The portraits added a little more light and warmth to the room. They made a HUGE difference and I am happy I chose two 18 x 18 Gallery Frames from Posterjack, with a Rich Black frame and acrylic glass. They really do draw the eye and are a focal point. 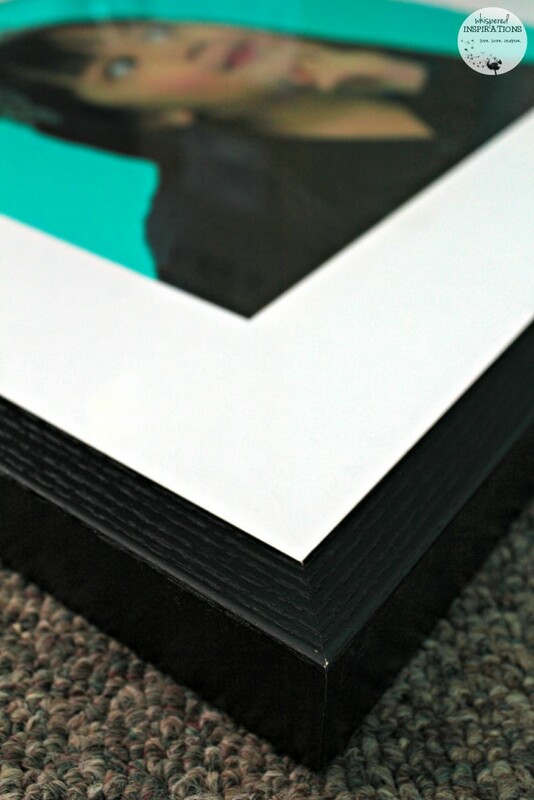 The frame is strong and sturdy and the black truly is rich in color. I chose black to help the image pop since the back drop of the head shots were taken in the very office they now hang in. The black frame was needed to make the image pop and I think it did it’s job very well. 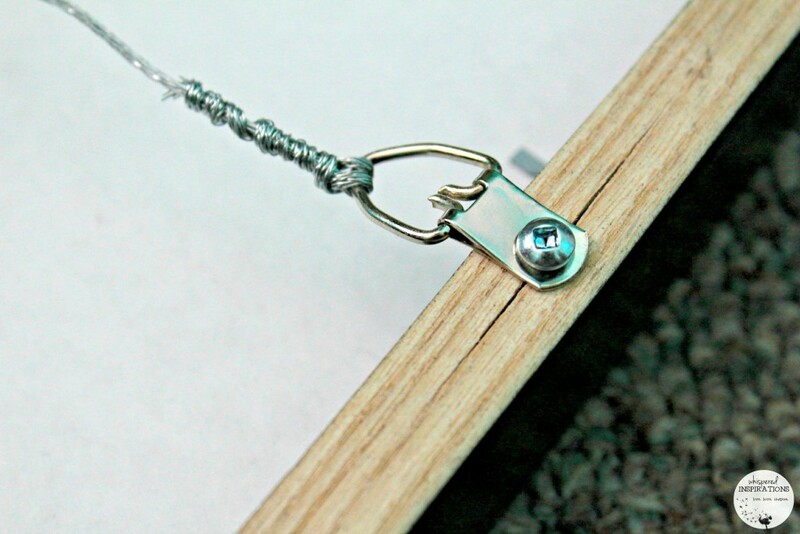 The wire that is secured to the frame is heavy-duty, it can definitely withstand the weight of the frames, which are quite lighter than they look. I also love that they come with plastic guards on the bottom corners, that way ensuring that no rubbing or shafing will damage your wall. When the frames were delivered, they came in a big box, neatly and ever so carefully packed and secured. That shows me that the company cares about providing quality work and ensures that it gets to you safely and undamaged. When I took them out, I literally gasped. It’s one thing to take a picture and then another to see them in a professional and gorgeous frame. It blew me away and I was sincerely impressed. I hung the gallery frames right above my desk. Since my desk in a corner, it worked perfectly and I think it looks amazing. My thinking girls have truly brightened up my office and my day. The 18×18 gallery frames were about $74.99 each. You have gallery quality for a great price–you really cannot go wrong! I’ve spent more on other prints and wasn’t overly happy with them. I’m much happier with these portraits. Even my husband, the printer by trade, gave them a thumbs up and admired the quality in the prints. Are You Ready to Brighten Up Your Rooms? 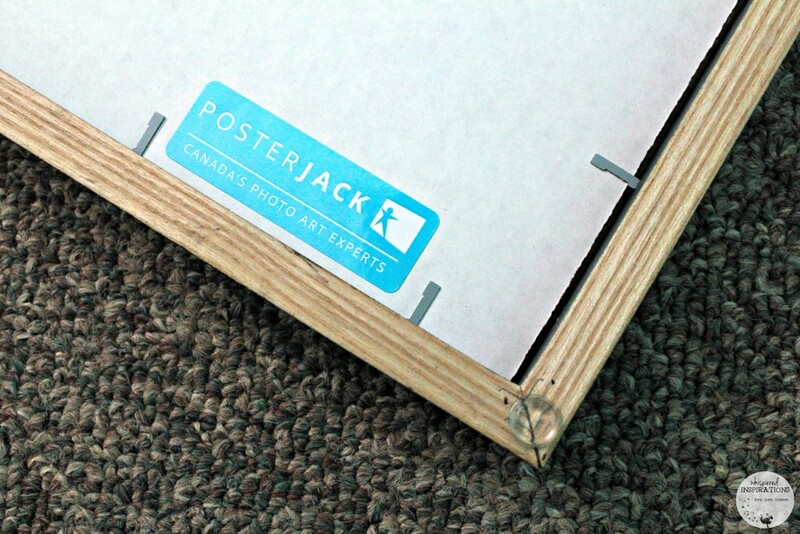 While Posterjack might do framing like Henry Ford, they truly print like the Jetsons. 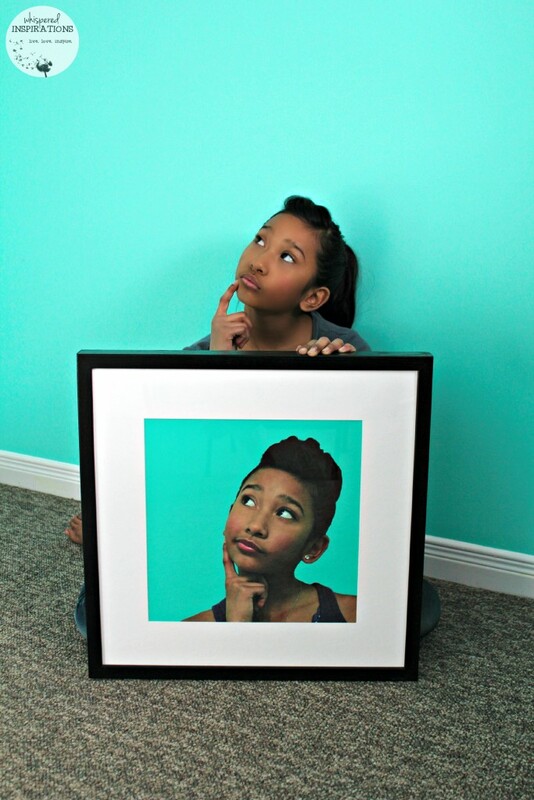 Posterjack’s photo-enlargement print quality is the gold standard and it’s evident in my gallery frames above. Now when I walk into my office, I let out a “Le Sigh” because it truthfully puts a smile on my face. Ordering them online was super easy. You shouldn’t be worried about ordering online and messing things up because in about 3 to 4 steps you are ready to send to the printers! Posterjack’s ordering system is simple. The first step is to Select a Product then Select a Size and the last step is to Upload Your Image. It will tell you what type of quality your image is and how it would print. If it’s low-quality, you can choose another or if you don’t have an image, you can choose from their Art Shop! Yes, this is 2015. Yes, you are shopping on the Internet. Despite that, we took a page out of Henry’s book circa 1927. Gallery Frames come in four timeless colours; Rich Black, Alpine White, Espresso Brown, and Light Walnut. All of our components are made in Canada – from the hardwood frame, to the low glare framers acrylic, right down to the crystal white acid free mat board. Thank-you for following along, my first print was fun to shoot and then even more awesome to see it in a gallery frame. I’m even more excited to shoot my next picture and share it with you guys! For more information about turning your memories and moments in time into a realiity, head on over to Posterjack.ca. You can connect with Posterjack on FB for the latest updates or send @Posterjack a tweet and chat them up there! What would you capture and print in a gallery frame? That's a NICE frame and I really think it accents the print nicely! I love the big size of it! Thanks, I think the rich black definitely made it pop! It makes it pop, that is for sure! Thanks! I think it sure brightened up my office. I love those thinking girl prints! 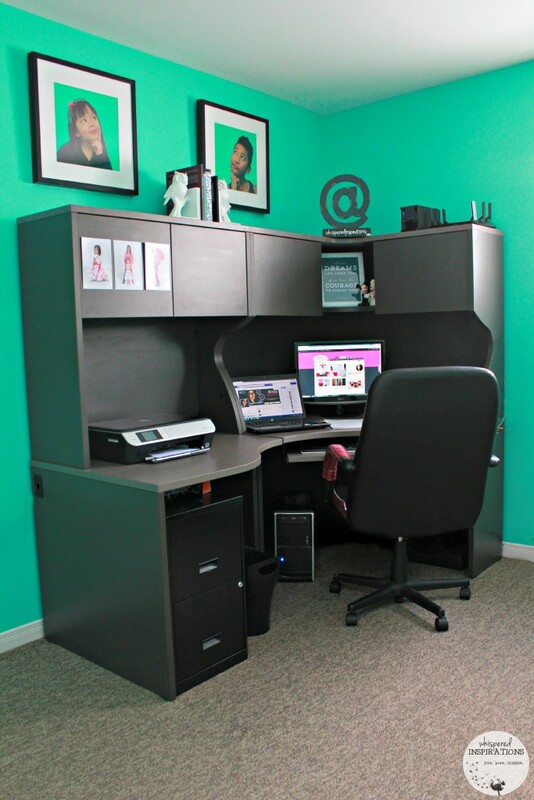 What a novel idea and it really looks great in your office! Thank-you, it was their little idea. I am super happy with the quality! That is really nice! I love pictures and am always looking for new great ways to showcase them! Those pictures are fantastic! Thank-you, I find I take many pictures but, hardly display them. It is time! This is such an awesome picture. The pop of color is so artistic. Thank-you, I think it is too. My office is now the kitchen table until it can finish be renovated. I love the idea of seeing my kiddos though, they always inspire me! Yes, that is why I wanted them in my office. I look up and smile all day. Those frames looks so classy and beautiful; I'm very impressed with the quality! I like the black border. It makes the frame pop out. Such a nice contrast! I have got to say that I love your office. Those frames make the picture addition and your girls are so adorable! Thank-you April, it is a work in progress! You're girls and photos and now your office each beautiful for different reasons – It really caught my eye – and then when you said Photojack does quality enlargements, that's also way cool. Congrats on your whole project – girls and all! Thanks, it is still a work in progress but, these definitely made a huge difference! I love this! Those photos are so fun and creative. I recently bought a bunch of frames as we just moved into a new place. I'm excited to decorate! They are a great way to decorate! What an adorably cute idea! I love the pose and your girls are precious. I need to start getting pictures into frames. Thanks, I am happy you are! I wish I had some wall space to try something like this in my office room. I love photos so much that I have run out of room to display them all. You can always go smaller! Love the pictures of the girls and they look amazing in those frames! I bet you smile every time you look at those pictures! Those prints and frames are gorgeous, they really stand out on the wall. Your little one is so adorable by the way! These are great. I like that they have the exact same color background mat as your walls! 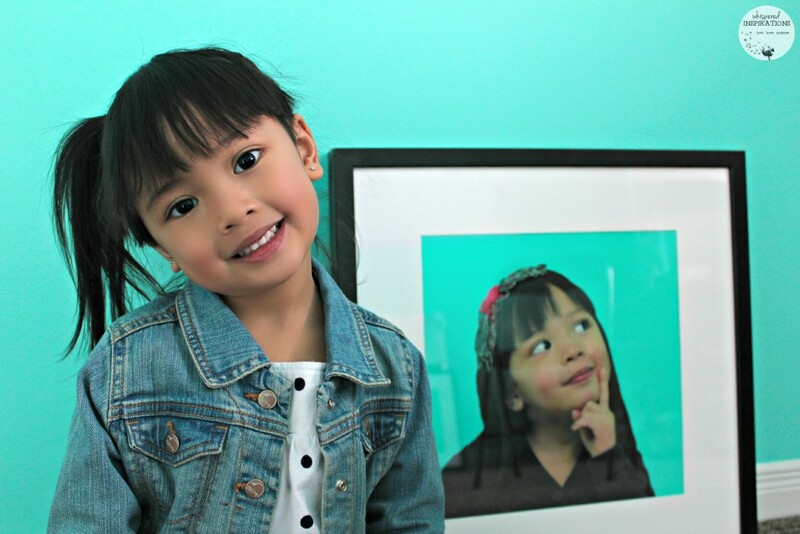 Thanks Rosey, I took their portraits in my office. 🙂 That is why they are the same background! Links are above, you will love Posterjack! What a cool photo concept, and the finished product came out so special. The black framing really brings out the blue. I love how your prints came out. Looks great the paint and how you used the same background for the photos. Thanks, I wanted to make it look uniform. That is the cutest idea ever! I have to check this out! Thanks for the post! I love the frames but the pictures are what sold me! I just love those shots! Thanks Erin, they are little posers! I need to brighten up my office space. We are in a rental so it is so hard to freshen up our rooms. Pops of color can make a difference without anything permanent! A few frames of your fave pics could do it for you! That is so nice! And your girls and really cute. I love displaying photos of us too. These look great! I love seeing pictures and how they’re being shot! They look great in your office! I love them! I think those are super adorable shots and I love the contrast of colors. My recent post Get My Button! Those of some beautiful pictures of your girls. I have to hang up my kids pictures in my office soon as well. Thanks, it is nice to have them there at all times! Your girls are so adorable. The pictures of them turned out so great, and the frames look wonderful. Really professional looking, and fit perfectly there above your desk! These are so nice! Those photos are priceless! a quality frame can really make or break a picture. choosing the wrong one can be a big sore point. I do love the color of your office walls,what’s the name of the color? Thanks! The color of my office is teal!